Each personality type possess both introverted and extroverted traits, since no person can be all the way on one side of the spectrum. While some people tend to be in the middle, there are certain types who can be hard to really peg based on their introversion or extroversion. INFPs can certainly express very extroverted qualities and traits, sometimes causing people to confuse them with ENFPs. While they might possess these more extroverted qualities, they are certainly still introverts. This only goes to further prove that there are many complexities to each of us, making the layers more in depth than a simple personality description. This is why it is important to dive in a bit deeper to really uncover the truth about each personality type, and each individual person. 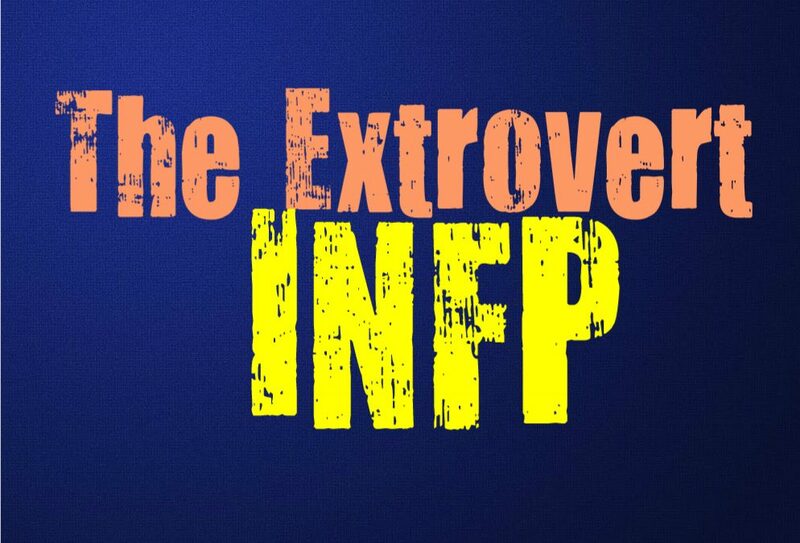 Here are a few qualities of the extroverted INFP personality. INFPs might be introverts but that doesn’t mean they don’t value connections with others. Something they are often searching for more than anything is a deep and meaningful connection with another human being. They want to feel something that goes beneath the surface and makes them truly want to draw near to that person. INFPs want share something with another person that is earthshattering and truly worth the risk of getting hurt. They are often romantics at heart, and so they believe that these types of bonds truly exist even if they have yet to really find it. INFPs truly like to talk, sometimes for hours on end. Most people view introverts as quiet people who don’t like communicating much. While many introverts do struggle to really enjoy chatting for a long time, this usually depends on who they are talking to. INFPs actually crave the chance to talk with someone for long periods of times, about everything and anything. They want to get deep into discussion about their lives, hopes, dreams and their deepest darkest secrets. The important part is that the INFP is communicating with someone about meaningful subjects- things they can truly feel passionate about excited about. If they are connecting with someone they can spend time just chatting it up, without becoming drained or needing to stop. Most people consider entertainers and performers to be extroverts, but that doesn’t mean introverts can’t be amazing in these roles. INFPs often make for amazing performers and often enjoy being center stage in these situations. They like being able to showcase their talents and perform in a way that other people can feel connected to. Sharing parts of their soul in this way is something that the INFPs often feel truly fulfilled by. Being an entertainer or performer often requires more extroverted qualities, like being outgoing and unafraid of attention. While INFPs might be enjoy time to themselves, that doesn’t mean they can’t handle a little time in the spotlight. This can be draining after a while, but INFPs often find it to be rewarding as well. This is part of their desire to feel connected to others, sometimes on a much larger scale than just one on one. Some of the more popular and well-known artists are actually INFPs, which can be a surprising thing to most people. They actually find themselves comfortable in these situations, and can put aside any trepidation they might feel when they are sharing their art and performing in front of a group. While many introverts prefer to be on their own and avoid too much interaction, INFPs can actually be very outgoing. When they are in social situations they can be rather playful and entertaining. While being outgoing and friendly isn’t exclusively an extroverted trait, the way the INFP expresses it can confuse others into believing they are actually extroverts. They have a way of being rather social and truly fun to be around when they get into the right mood. This often happens even more when the INFP is around someone who brings out their more internal qualities. They enjoy being someone that others like and flock to, and can sometimes take pride in this. When the INFP is at a party or in a truly social situation, they can often become the center of attention without much effort at all. While they sometimes want to be the wallflower, that doesn’t mean they aren’t highly capable of being the exact opposite. INFPs can surprise people in this way, since they expect the introvert to be shy and hide themselves away from other. While many introverts need a lot of alone time, for the INFP it is often more complex than that. They dislike a feeling of loneliness, which is why they crave connection so much. While they do need some sort of solitude and quiet in order to recharge their batteries, that doesn’t mean they have to be alone in order to acquire this. Sometimes the absolute best thing for the INFP is to be “alone” in the presence of someone they love. Having someone there just sharing the quiet with them, is actually more rewarding than anything the INFP could imagine. Having someone there who allows the INFP to dive into their own minds without constant chatter, is truly a wonderful gift. INFPs might need to recharge but they don’t enjoy feeling distanced from the people they love. They can become fearful of being abandoned because of their introverted qualities, and so they seek out people who understand and appreciate them for exactly who they are. While INFPs are certainly introverts, there are many extroverted qualities which can make others misunderstand them and who they truly are.